6 Facts to Know about Filing for Bankruptcy Again (Pt. 3) - Castle Rock Bankruptcy Attorney - Jon B. Clarke, P.C. Here is the conclusion to our three-part blog 6 Facts to Know about Filing for Bankruptcy Again. Fact 5 – When debt from a first bankruptcy case wasn’t discharged, there may be problems trying to get it discharged by filing for bankruptcy again. The most important fact to know about filing for bankruptcy again is that hiring Colorado Bankruptcy Lawyer Jon B. Clarke will be crucial to successfully resolving your case. All of the previous facts in this blog have been based on discussions regarding filing for bankruptcy again when a previous bankruptcy case was successfully resolved. However, this may not be the case for some people, which will create a new set of issues and potential challenges to contend with if these people want to try to file for bankruptcy again. 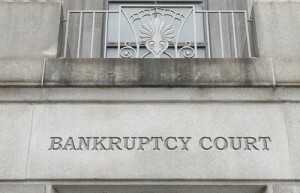 The previous bankruptcy case was dismissed by the courts – A court may dismiss a bankruptcy petition for any number of reasons (only some of which may include a failure to pay a court’s bankruptcy fees, a failure to appear in court and/or a failure to comply with a court order). When a previous case has been dismissed, in general, a person will have to wait at least 180 days before filing for bankruptcy again. The courts flat-out denied a discharge of debt in the previous case – Typically, if a court has refused to allow a person to discharge his debts as part of a previous bankruptcy petition, then that individual cannot get these same debts discharged in a subsequent bankruptcy case. There are, however, various factors that can come into play with these cases, so it’s best to consult with an experienced attorney to learn more about your options if you find yourself in this position. Fact 6 – Working with our Colorado bankruptcy lawyer will give you the best chances of successfully resolving your second bankruptcy case. The most important fact to know about filing for bankruptcy again is that you will have the best chances of obtaining a favorable resolution in your case if you hire Colorado Bankruptcy Lawyer Jon B. Clarke to represent you. Jon Clarke has the experience, resources and dedication that you can rely on when you need help getting out from under serious debt. Whether filing for bankruptcy again or pursuing an alternative option is the best route for you, you can always trust that you will be receiving superior legal service and representation when you choose to move forward with Jon Clarke.